Adorable one story home on basement with a wrap around porch. 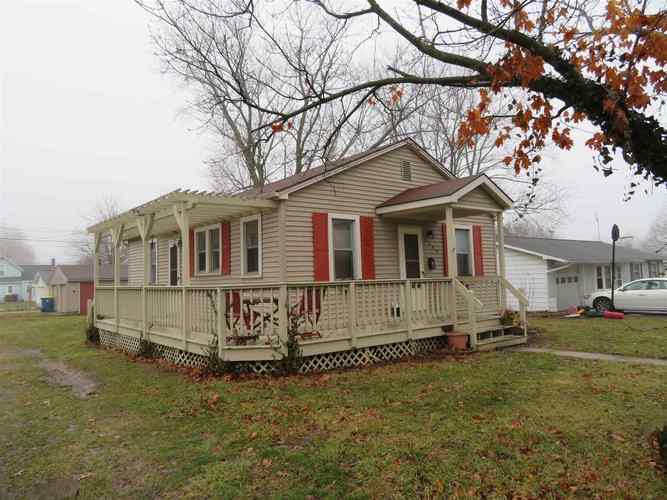 This 3 bedroom, 1 bath house has a 2 car detached garage. Updates include newer furnace, central air, water heater, drain tile in basement and sump pump. Beautiful mahogany wood floors are in the living room, kitchen and hallway. Newer refrigerator located in the garage will go with the home. All appliances included. Directions:SR 8 to Division St. South on Division St. to property on west side of road.